Official air quality guidance directs councils to focus on buses rather than the more serious sources of air pollution, campaigners have warned. Government guidance on the implementation of Clean Air Zones (CAZs) directs local authorities to target older, diesel buses as the top priority, followed by HGVs, then vans, with private cars only to be targeted as a last resort. 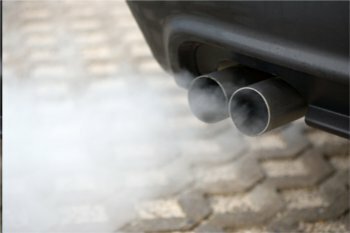 However, in an open letter to Whitehall the sustainable transport group, Greener Journeys, has warned this would only ‘scrape the surface of Britain’s air quality crisis’. Diesel cars and diesel vans produce around 41% and 30% respectively of emissions from road transport. This compares to only 6% from buses and coaches. Greener Journeys’ letter warned the Government the current guidance for councils on CAZs will fail without more decisive action to curb car use and encourage a shift towards buses and other cleaner modes of transport. ‘It has taken two High Court Rulings and fearless scrutiny from ClientEarth to ensure the Government takes this crisis seriously. And still, the Government’s plans stop short of meaningful action that will immediately address this public health crisis. ‘The Government must show leadership and provide clear guidance to local authorities on which vehicles should be targeted as a priority in CAZs, reflecting actual NOx contributions,’ she will add.